This week’s episode of That Bad Review features Elysha Loiterton of Campstay. Campstay is a startup that helps consumers make reservations at camp spots and holiday parks in Australia and New Zealand. 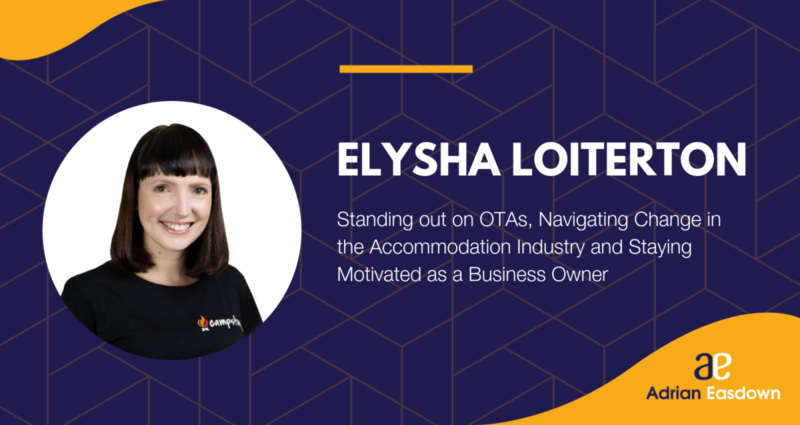 Elysha had a lot of interesting things to say about the accommodation industry — the rise of micro-influencers, keeping your mood up when running a business, etc. But one particular area of interest was how to help businesses stand out on OTAs like Campstay and within other online platforms. Any business without a robust online presence is a failing business. Here are some tips for sticking out. Pertaining to OTAs like Campstay or Expedia, Elysha recommends making your entry on the website as easy to navigate as possible. For example, if you have a cute, marketable name for one of your campsites (the “Washington Space”), then she recommends genericizing it on the OTA. How big is it really? What is included? Nobody is going to know what the made-up names mean. Elysha also recommends completely filling out your profiles on OTAs. When it comes down to booking, customers don’t want to do any guessing. They want to know exactly what your location features and what they’re getting. Check your scores on sites like TripAdvisor. Don’t obsess over every little bad review, but make sure you’re responding to them in a way that makes your business look good. Don’t dispute the accusation with the reviewer; show everyone that you’ve heard and understood their complaint and that you’ve already addressed the issue. While we’re on the topic of bad reviews, here’s something you can do offline to keep negative reviews from pouring in. Be good at your job! The best defence is a good offence, they say. If you see an issue with your bathrooms, rooms or anything else, address it before it has the opportunity to become a deal-breaking problem for one of your guests. Keep lines of communication open with your guests. Greet them positively when they arrive, and make sure you’re present and visible so that you can address any issues they might have. They’ll be less likely to leave you a bad review if they know you care. Make sure you’re active on different social media platforms. Are you posting interesting pictures on Instagram? Engaging with guests and potential customers on Facebook? Answering questions via Twitter? Sometimes it can feel like social media is a full-time job, but a lot of people make their booking choices based on word-of-mouth or social media hype. If they can’t find your business online, they’re going to be turned off to the idea of staying with you. Standing out online takes a combination of marketing savvy and good business practices. Stay true to your mission statement and you’ll be sure to see success. Listen to my entire conversation with Elysha here.